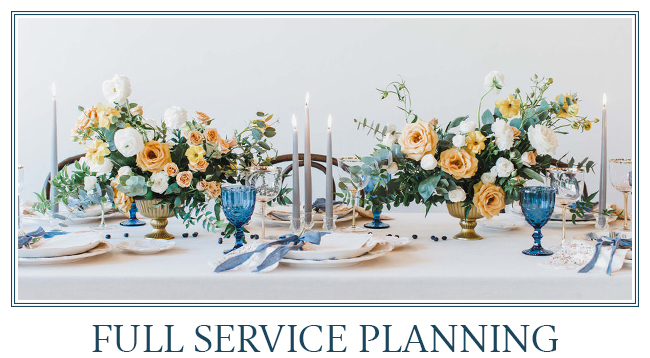 Our goal is to streamline your planning experience and allow you to enjoy your special day with all of your loved ones! We will work with you to truly understand every detail of your vision and allow every wedding guest a glimpse at your love and future life together. Let us take care of every detail so you can focus on getting married & not worry about the logistics that take place behind-the-scenes. We prepare all of our couples with information & details to fully understand their special day, leaving no questions unasked. We know it can be overwhelming & we are here to help you make sense of it all.